ADOPTED: I have found my forever home!! One that understands me and loves me for who I am!! My new family understands the commitment needed and the love wanted!! I love my new family!! My new family!!! You can see the love!! 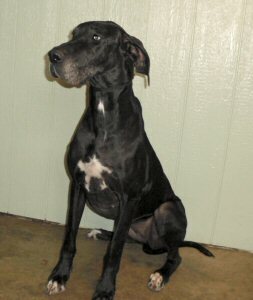 I was found roaming the busy streets in Butler County and was taken to the County Animal Shelter. 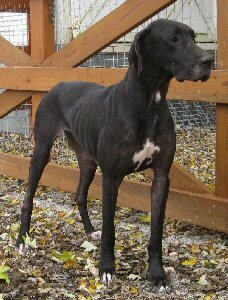 When my stray time was up and my owners had not came for me, the shelter called Harlequin Haven to come for me. I was in pitiful shape, emaciated, hair falling out....I looked twice my age!! I have been at the rescue now for almost 2 weeks and I am feeling much better! I still need to gain at least 10 - 15 pounds and my hair still needs to grow back but each day is better! 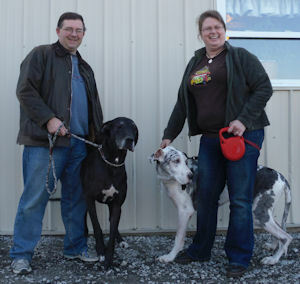 Isn't it amazing what a little good food and love will do for a dog? Update November 7: I have gained my weight and have most of my hair back and am just enjoying life. I should be ready in a few more weeks. Update November 23: I am now ready for adoption!! 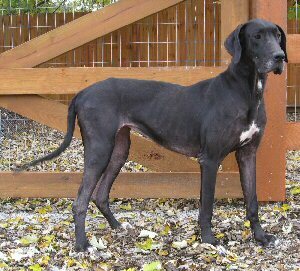 I am a very sweet and loving Dane and would make a great addition to a loving home! Scroll down to see my updated pictures!! !